IDEMIA, de wereldleider in Augmented Identity, heeft vandaag aangekondigd dat het een unieke ervaring heeft gecreëerd voor het Barcelona Mobile World Congress 2019, ‘s werelds grootste mobiele industriebeurs. COURBEVOIE, France-(BUSINESS WIRE)- Heb je er ooit van gedroomd om naar een live concert van je favoriete band te gaan zonder urenlang buiten de zaal in de rij te staan? Kunt u zich voorstellen dat u uw favoriete voetbalteam vanaf de tribune bekijkt terwijl snel u drankjes bestelt en vervolgens uw gezicht gebruikt om te betalen, zonder in de rij te hoeven wachten? 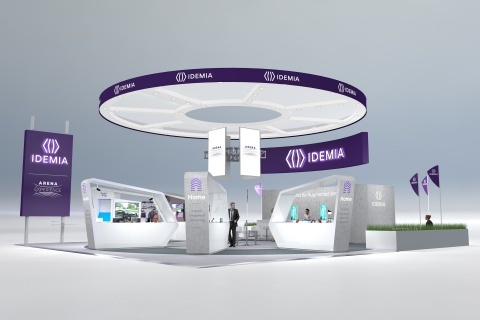 IDEMIA, the global leader in Augmented Identity, today announced that it has created a once-in-a-lifetime experience for the Barcelona Mobile World Congress 2019, the world’s largest mobile industry show. COURBEVOIE, France–(BUSINESS WIRE)– Have you ever dreamt of going to a live concert of your favorite band without queuing for hours outside the venue? Can you imagine watching your favorite soccer team from the stands while ordering refreshments then paying using your face without waiting in line at half time? “Backstage – Ensure everything runs smoothly”: go behind the scenes and see how Artificial Intelligence, Cloud and advanced analytics create a smarter, always connected and safer place. New technologies simplify the ARENA experience, boost connectivity, optimize coverage and constantly adapt to meet the needs of the most demanding fans.